Latham’s Chicago office has served global clients based or operating in the Midwest for 30 years. Clients doing business in the Midwest and around the world rely on Latham & Watkins to provide effective local and global representation in all aspects of their business. Since opening in 1982 as the first national law firm to enter the Chicago market, Latham’s Chicago office is the law office of choice for some of the largest multinational corporations, financial institutions and investment firms based or operating in the Midwest. A combination of homegrown business know-how and global expertise allows Latham lawyers to provide comprehensive services that meet clients’ transactional and litigation needs. Clients in a number of industries including hospitality, financial services, real estate and REITs, manufacturing, energy, and healthcare look to Latham in Chicago for counsel regarding their day-to-day and longer-term business concerns. The Chicago office also is a leader in the tax aspects of renewable energy projects, including wind farms, biomass, geothermal plants and solar projects. Supporting a number of organizations and causes, the Chicago office's dedication to pro bono work reflects a fundamental part of the firm’s culture. Notably, the office created a pro bono program with the City of Chicago and Domestic Violence Legal Clinic more than five years ago. The concept was adopted by Cook County as its model for a court-organized clinic. 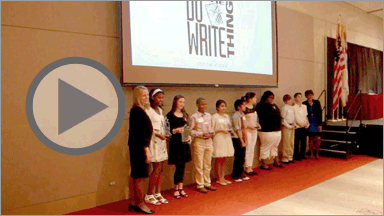 The “Do the Write Thing Chicago Challenge,” an annual program driven by the National Campaign to Stop Violence, involving the Chicago public and Catholic school system is also chaired by Latham’s Chicago office.